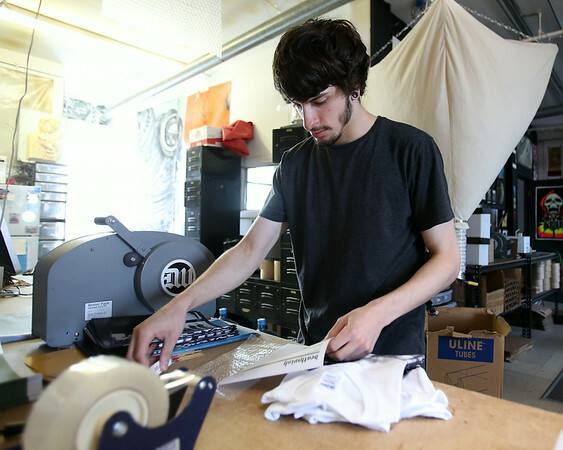 Corey Archambault, an employee at DeathWish Inc. in Beverly puts together an order on Friday afternoon inside their warehouse on Park Street in Beverly. DAVID LE/Staff photo. 8/1/14.